Cattle may need supplementation on winter range, Walz says. Nutritional value decreases in grasses during the winter months. Randy Saner explains to producers how they can use benchmarking information to evaluate their own operations. Producers compare notes at the end of the program. Producers who want to look into benchmarking their own operations can obtain more information from the Nebraska Farm Business, Inc. at their website: nfbi.net. To do their own benchmarking, and determine their expenses, Saner says producers can use the cow-calf cost Cow-Q-Lator at beef.unl.edu. 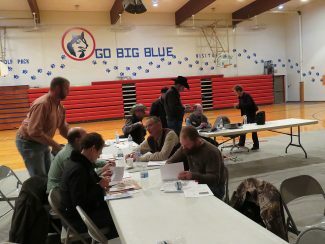 Nearly 30 cattle producers learned some new ways to improve profitability in their operations during a managing for profit meeting at the West Central Cattlemen's Day. Nebraska Extension Educator Randy Saner kicked off the event sharing with producers information on benchmarking the herd. Benchmarking allows producers to see differences between actual participating high-profit and low-profit cattle herds in Nebraska, South Dakota and Kansas. "This information allows producers to determine where their high expenses are compared to other producers," he explained. Once they identify these expenses, they can develop a strategy to overcome these expenses, he said. Benchmarking also allows producers to determine how their revenue compares to other operations. If producers find they need to increase revenue, they can question whether to change the price or the quantity of what they produce. "Feed costs are still the No. 1 cost in a cattle operation," Saner said. "Ultimately, pasture costs are high right now, and have a significant impact on a producer's bottom line," he said. Many landowners have been slow to reduce pasture rental rates because their land taxes increased when real estate was climbing in value, Saner saids. 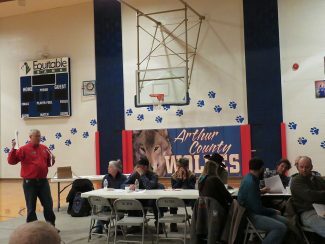 "Some of them have indicated that they don't feel like they can come out if they reduce what they charge for pasture, but many producers are having a hard time making it at the current rates," he said. 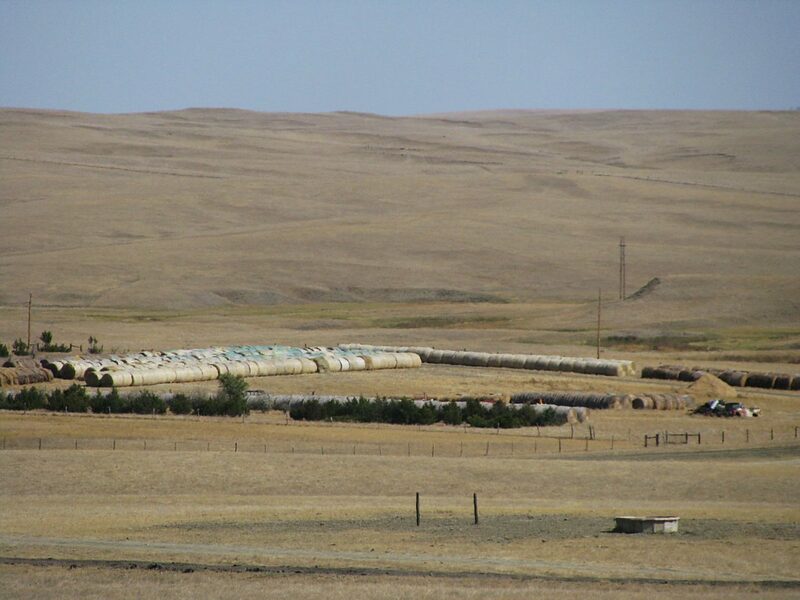 Depreciation is another cost that can quickly get out of control, Saner cautioned producers. He told producers to give careful consideration to paying excessive amounts for equipment and facilities. "Differences in replacement rates is a big issue," he said. 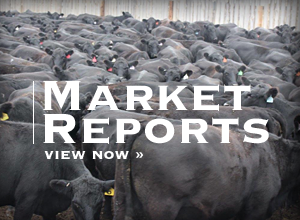 Of the operations in South Dakota and Nebraska that participated in the benchmarking process, Saner said there is a $258 difference per cow in total direct expenses between high-profit and low-profit operators. The difference in the return over direct expenses was $445.15 per cow between the top 35 percent of producers and the bottom 20 percent. The bottom 20 percent of producers showed a negative $111.33 return over direct expenses. Saner said most of these producers probably won't be in business in five years, unless they make some significant management changes, because most won't be able to withstand this big of a loss. 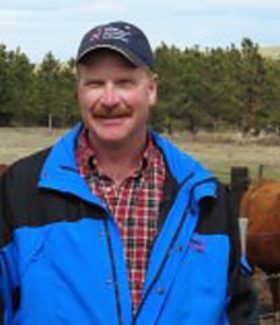 Rick Funston, University of Nebraska beef reproduction specialist, told producers that the infrastructure in the U.S. is being challenged. 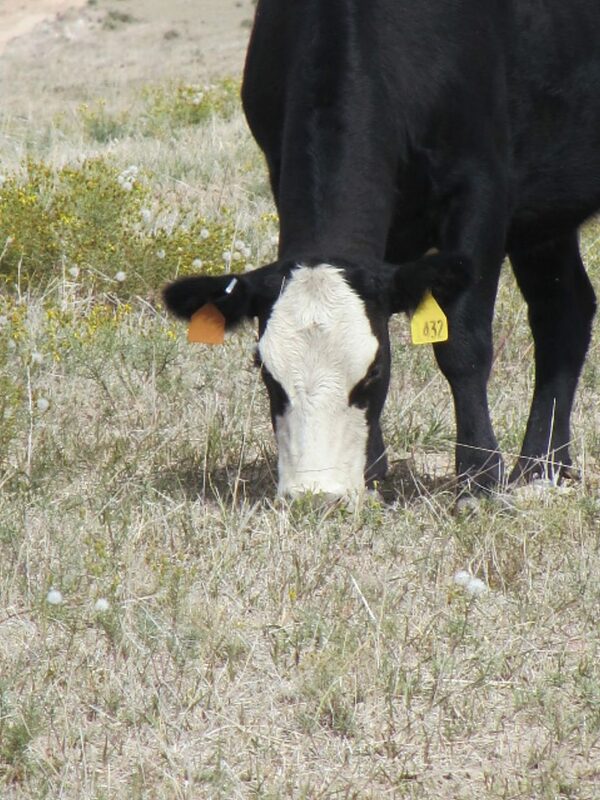 When Texas suffered a severe drought several years ago, packing plants and feedyards started closing in the U.S. from a significant decrease in cattle numbers. Several years later, packing plants and feedyards are still struggling to find enough cattle, and some are facing closure. Compounding the problem is efforts in Mexico to build their own packing plants and feedyards, which will eventually cut down the number of feeder cattle imported into the U.S. from Mexico. "It will further reduce the U.S. feeder cattle supply," Funston said. 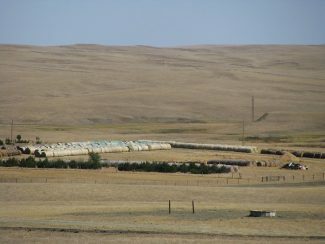 "I think we have to ask ourselves where the feeder cattle are going to come from to fill U.S. feedlots," Funston says. Funston shared with producers some ways to make their own cattle herds more profitable and efficient by utilizing technology to help cows and heifers breed up sooner. 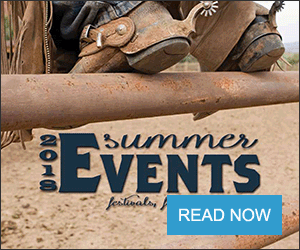 "Time of calving affects feedlot performance," he said. "Those heifers that breed up early will produce the equivalent of an extra calf by their sixth cycle," he said. 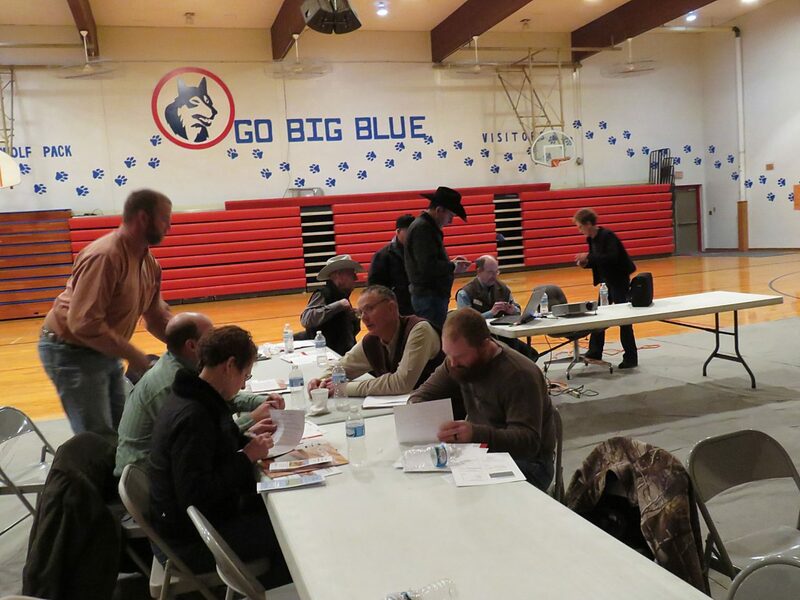 The reproductive specialist encouraged producers to breed more heifers than they need. "I am a big advocate of a long breeding season, and a short calving season," he said. University of Nebraska Extension Educator Troy Walz showed producers how to choose a supplement, and compare costs. When choosing a supplement, producers should consider the nutrients in the supplement, palatability, cost, delivery method and availability. "Supplements should not be compared by cost per ton," Walz cautioned. "When nutrient shopping, you should be interested primarily in crude protein and energy," he said. Producers should determine the total pounds of a nutrient in one ton of supplement, and determine the cost per pound of the actual nutrient. "Keep in mind that by using this method, you need to compare feeds either on an as-fed basis or on a dry matter basis," he said. Walz showed producers a formula to determine the cost of protein. He figured $80 a ton for alfalfa, with 18 percent crude protein (CP) on a dry matter (DM) basis, and 89 percent dry matter. Walz tells producers when choosing a supplement to also consider convenience and feedability, transportation costs, feeding costs of using a tractor, caker and bunks, availability of the product, waste, other nutrients that will be needed to balance the ration, and the consumption required to balance the ration. Producers should also test their forages so they know if they are making a balanced ration. "Alfalfa can range from 10 to 25 percent crude protein," Walz says. 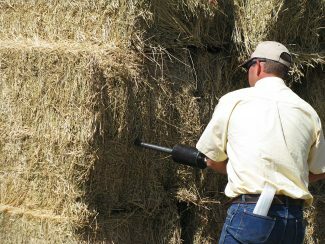 Grass hay can range from 4 to 18 percent crude protein, and although grains and silages have less variation, they should be tested anyway, he added. "As plants mature, the fiber content increases causing a decline in energy and dry matter intake," Walz said. "Crude protein content also declines. Stage of maturity at harvest has the biggest impact on forage quality."